This comes from one of my new favorite blogs. LinkedIn it’s for more then just finding jobs! There are hundreds of ways for us to express ourselves in our daily lives. From the clothes we wear to the words we choose to use, the pictures we share and the music we play — the possibilities are endless. This is equally important in the professional context, as no two professionals are alike. 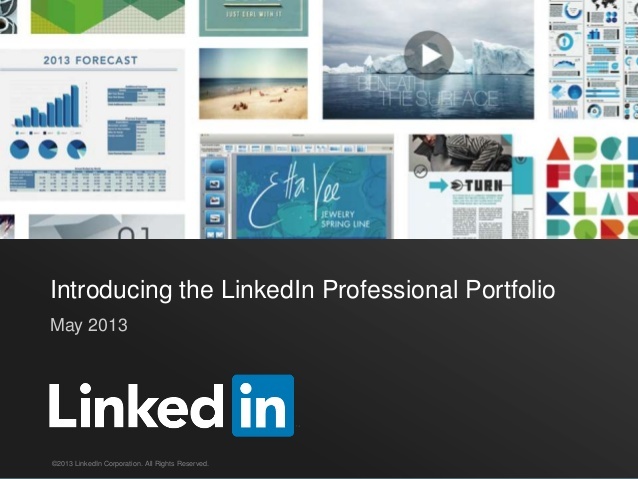 For the first time, you will now have the ability to showcase your unique professional story using rich, visual content on your LinkedIn profile. This means you can illustrate your greatest achievements in the form of stunning images, compelling videos, innovative presentations and more. 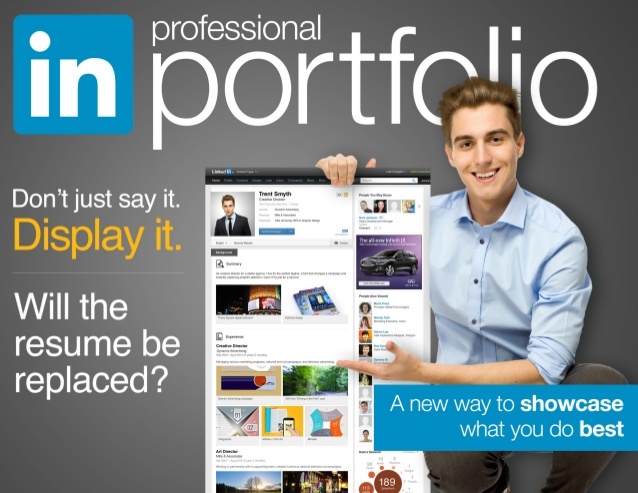 From the analyst who makes annual predictions on tech trends to the 3D animator who is looking to fund a new short film, the opportunities are limitless for how professionals can now use the LinkedIn profile to help showcase these unique stories in a visual way. To begin sharing your achievements and creations on your profile, simply select “edit” on your profile then follow the prompts in your “Summary,” “Experience” and “Education” sections. Other members can also “like” or comment on what you’ve posted. Need a little inspiration? Here are a just few examples to help inspire you as you start exploring this new way to showcase your career and work. This is just a glimpse of what’s possible. The ability to add your visual content to your profile will begin rolling out to members in English speaking countries today. We look forward to finding new ways to bring this type of rich media across your LinkedIn experience. Stay tuned, there’s more to come. In the meantime, we look forward to seeing how you choose to display your professional story on your profile.